Not quite hot off the press any more but definitely worth mentioning as I was fortunate to be part of the founding team at the London WaterHackathon. Last week Taarifa was lucky enough to be named as one of the three Grand Prize Winners from the Sanitation App Challenge which took place last December. We even made The New York Times and the BBC. We were already honoured to be selected as one of the 10 finalists and the news that we were also one of the 3 final winners was fabulous. Congratulations for those of the team that put in all the hard work to get us here. Congratulations also to the two other grand finalists: mSchool and SunClean. Members of each of the three teams were given tours around Silicon Valley last week. So great news for Taarfia and its nice to feel the momentum. The road ahead is still long and challenging but its been amazing to see how much has been achieved already. As Mark Iliffe always so aptly says, Onwards! 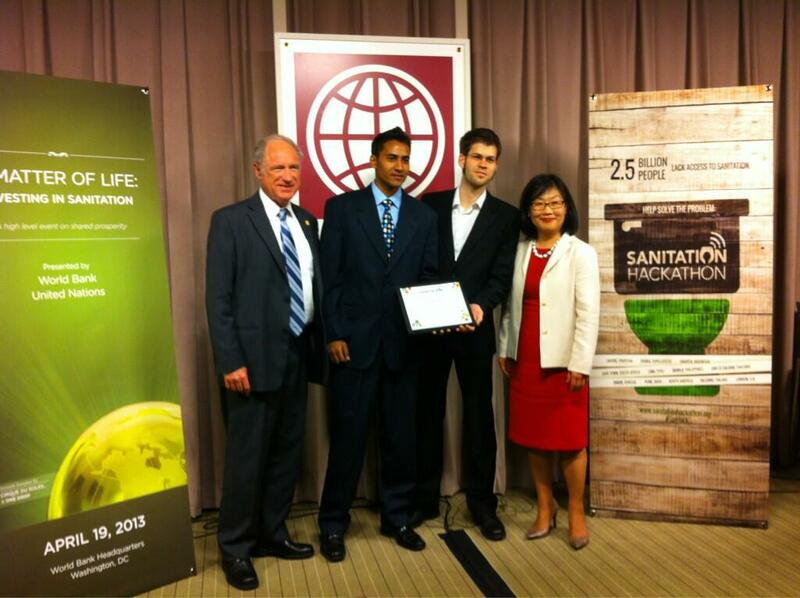 This entry was posted in hackathon and tagged hackathon, ict4d, sanitation, taarifa by dgorissen. Bookmark the permalink.